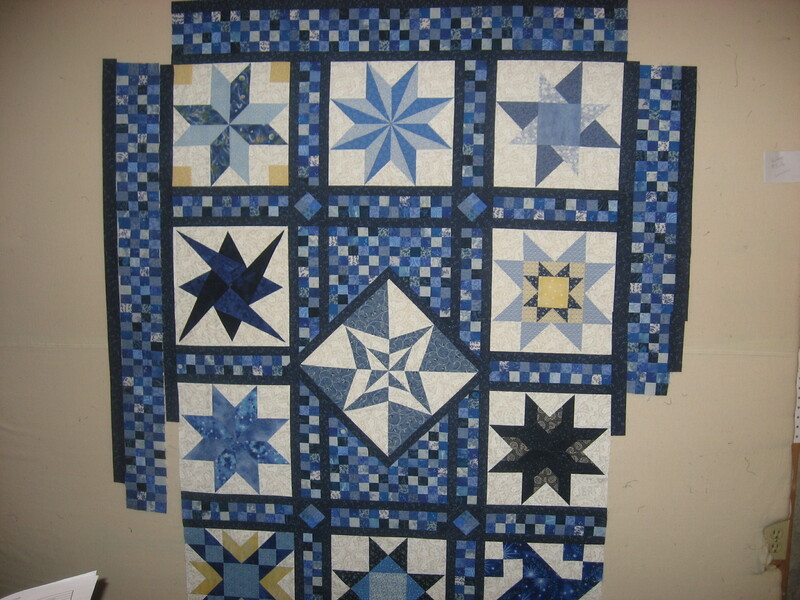 I am slowly making progress on this quilt. I only have 3 borders left to do. YEA!!!! The top border is sewn on. I’m still thinking on the corner blocks. I will probably make them like the cornerstones. Here’s a closeup shot of the center. After auditioning several different ideas…….. 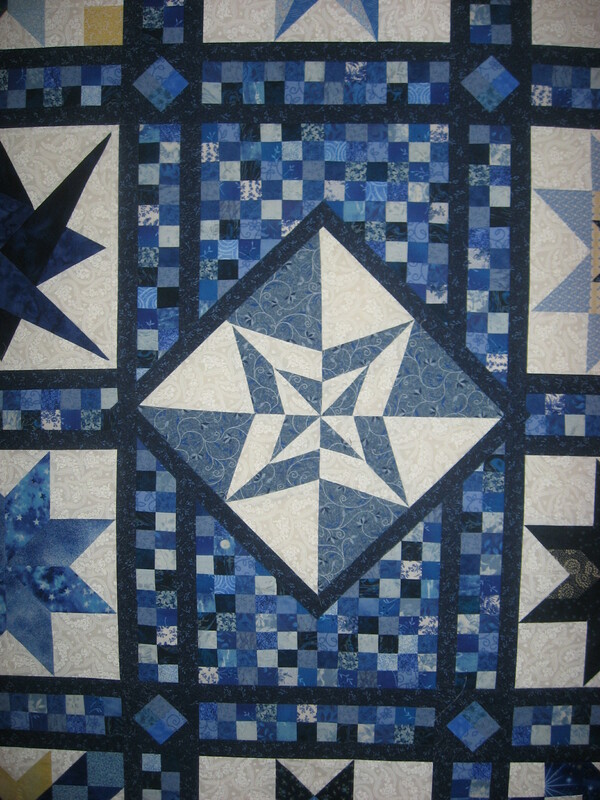 I ended up just making a scrappy background, added a dark frame around the block and then I appliqued the block onto the quilt. that is absolutely gorgeous!! I love it! Absolutely beautiful and that center makes it so unique. Love it.